We start selling the BF7 Promo posters/tickets tomorrow live at the Chopper Fest in Ventura and online through Loser Machine on Monday. 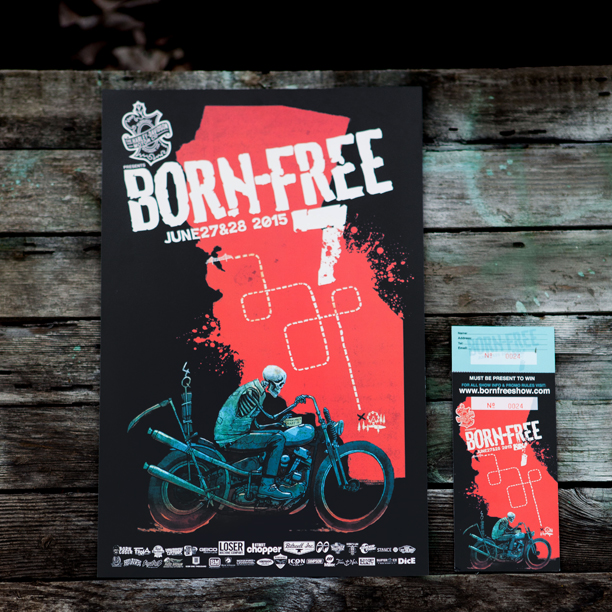 Here’s the deal: Buy the BF7 Promo poster created by Adam Nickel w/ creative input from Max Schaaf for $25.00 and you will receive a ticket that enters you in the promo. It’s the same deal and same price since we started giving away bikes at BF2. We also are running a special buy 4 get one free ! This will be year round online & in person at events. This entry was posted in BF7 GIVEAWAY BIKES KNUCKLEHEAD LOW RIDERS STREET 500, Uncategorized. Bookmark the permalink.